Hardly anyone enjoys the idea of returning to work on Monday after an entire weekend of pure relaxation and fun. But such is life, isn’t it? Thankfully, there are more ways than one to alleviate said Monday blues and one of the best ways we know how is to treat ourselves to a solid cafe meal. Taking into consideration the full-works, from artisanal coffees, teas to a plethora of over-the-top cafe grub, if there was ever a way to cheer us up on a dull workday, those would surely help. Here is our guide to 20 cafes that open on Mondays for you to treat yourself on a dreadful, soul-crushing Monday. 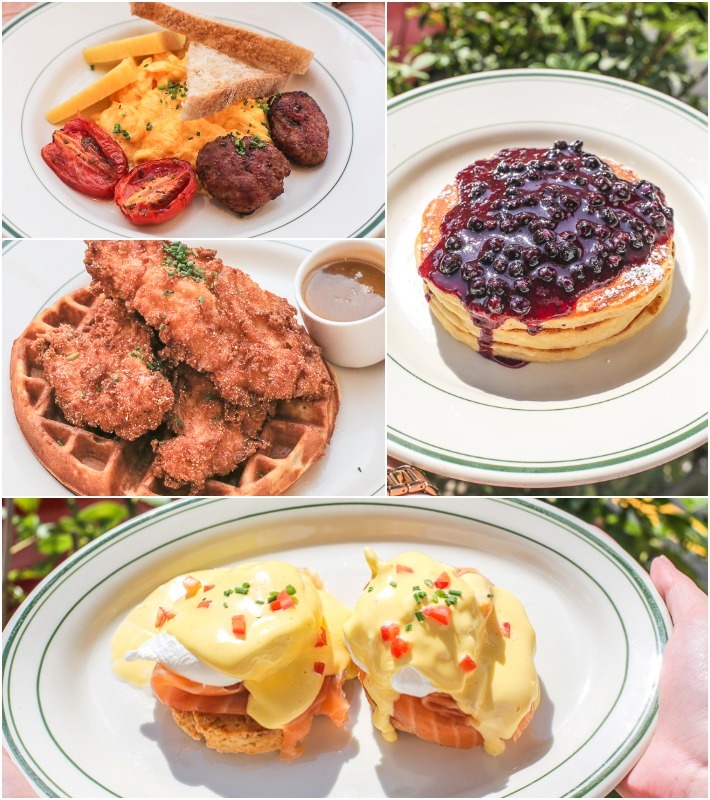 Hailing all the way from New York City, Clinton Street Baking Co. is where you can look forward to a range of classic New York-style brunch fare including the esteemed Chicken & Waffles (S$21++) which features huge pieces of crisp-skinned, tender chicken nestled atop a fluffy buttermilk waffle. Should you be looking for a sweeter treat to conclude your meal, the Pancakes with Warm Maple Butter (S$19++) is another signature dish of their that you ought to try. Earlybird Cafe is one of the newest additions to the slew of cafes that Jalan Pinang is home to. 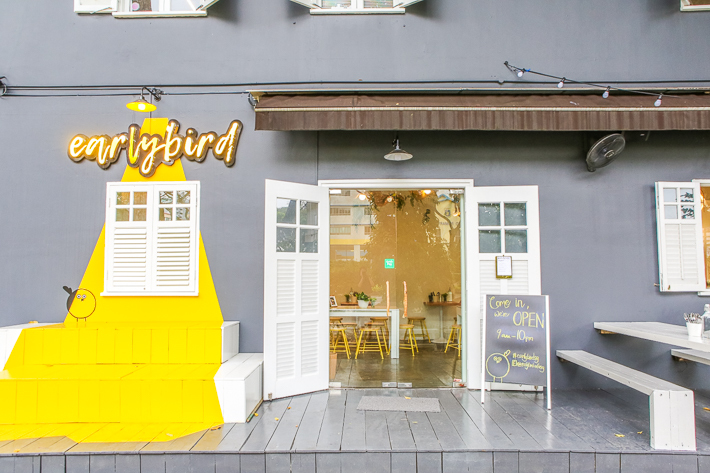 Minimalist exterior and aesthetically-pleasing bird-themed interior aside, Earlybird Cafe serves quality grub that is worth forgoing your diet for. Their Chicken and Pancakes (S$19) may just be enough to have you ditch chicken and waffles altogether—this dish really hits all the right chords in terms of flavour! Get their adorable Flower Pot Tiramisu (S$8.50) to end of your meal on a sweet note. 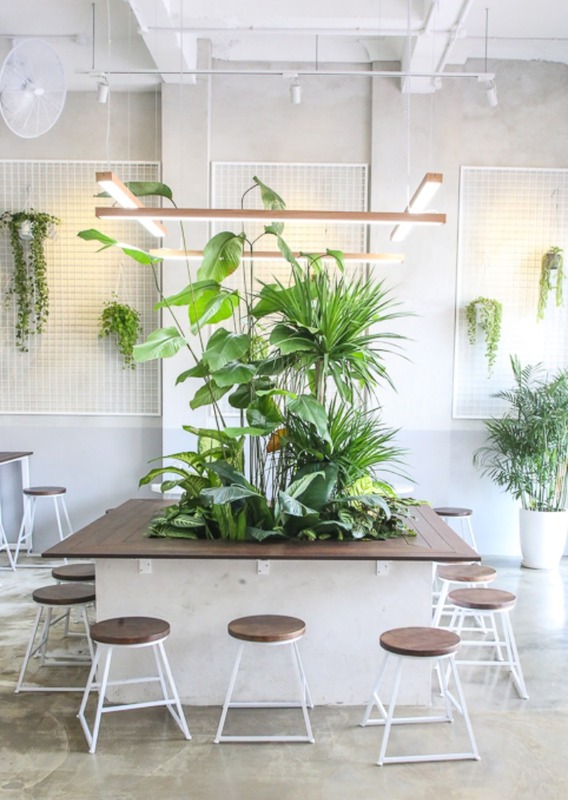 Boasting an aesthetically-pleasing botanical interior, impeccable service, amazing coffee and plenteous food offerings, Five Oars Coffee Roasters is definitely a new café in Singapore worth checking out. Five Oars offers a tantalizing range of brunch fare—from interesting spins such as the Mentaiko Royale (S$21) to sweeter options such as the Valrhona Chocolate Pancakes (S$19.50). Coffee-goers will not regret getting a cuppa coffee as an accompaniment to their meal as they source their coffee beans from Ethiopia and Brazil. This is where you can find traditional, nostalgic yet contemporary bakes all under a single roof. The walls of Keong Saik Bakery are covered in a wallpaper that speaks about the heritage of the Keong Saik area which might just sweep you over with a sense of nostalgia. Their menu mainly comprises a range of crusty croissants, bread and fluffy cakes. The Sor Hei—a black and white Danish pastry—would go highly recommended if you are looking for a light bite. Otherwise, opt for their all-day breakfast set which comes with a cup of coffee or tea, 2 soft-boiled eggs and a bun of your choice. 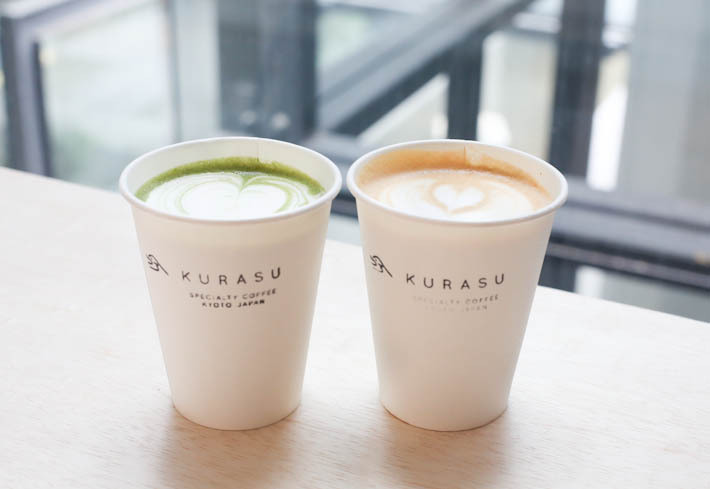 Kurasu is a hidden gem located within Odeon Towers that serves speciality coffee from selected roasters around Japan. Originally starting out as an online homeware store, the brand shifted its focus to coffee and opened its first physical store in Kyoto in 2016. 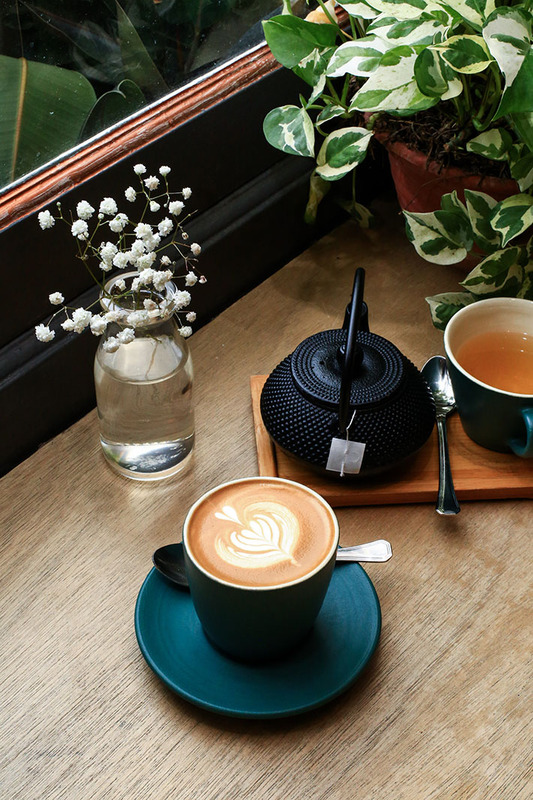 Their Singapore outlet serves the same lineup of coffee as their branch in Kyoto, so you get to taste their superbly aromatic brews in our sunny shores. Matcha lovers must get a cup of their Matcha Latte, which promises to satisfy even the most discerning of taste buds. This café situated on the rooftop of JEM in Jurong East will bewitch you with its charms. Furnished with modern elements including gorgeously lit bulbs and entwining vines, the cafe exudes a tranquil outdoor vibe perfect for a chill night out with your girlfriends. Poppy Pops allows you to get creative and make your own DIY popsicles, where you can choose a topping and coating of your choice. Inspired by their Melbourne travels, owners Januver and Chomel started Scissors Paper Stove to celebrate the diversity of Asian culinary techniques and our communal dining culture. They serve a range of carefully curated tapas, mains, desserts and handcrafted cocktails. You’d be pleased to find their Asian fusion tapas served in colourful tingkats and Asian-inspired cocktails that are unlike any other—think vodka with amaretto, milo and condensed milk. Decked with minimal white walls and whitewashed window grilles, this spacious and modern industrial-themed cafe is a hidden-gem situated within the folds of Wilkie Road away from the bustling city. 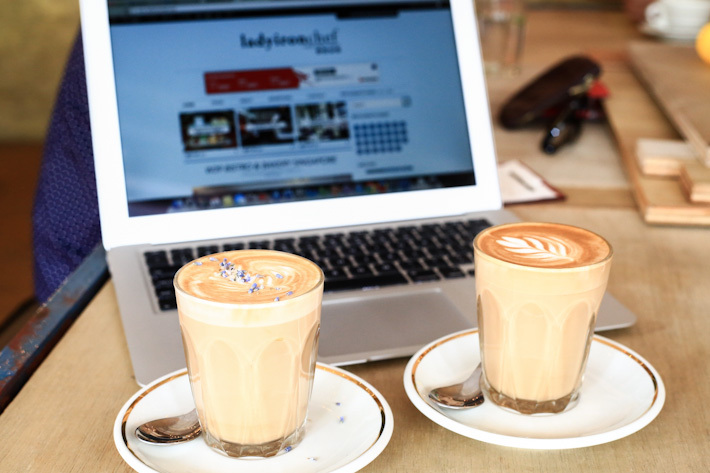 Fully equipped with plenty of charging ports around, we reckon that Twenty Eight Cafe is an ideal spot for one to get some work done while sipping on a cup of coffee. Their menu is rather simple, albeit limited, offering several brunch items that will definitely fill you up. Drips Bakery Cafe has been around for years and it is one of the usual go-to spots people who love sweet, freshly baked tarts and bread. No one leaves Drips Bakery Cafe without getting a taste of their speciality tarts. Their signatures include avocado tarts, berry tarts and salted caramel tarts. 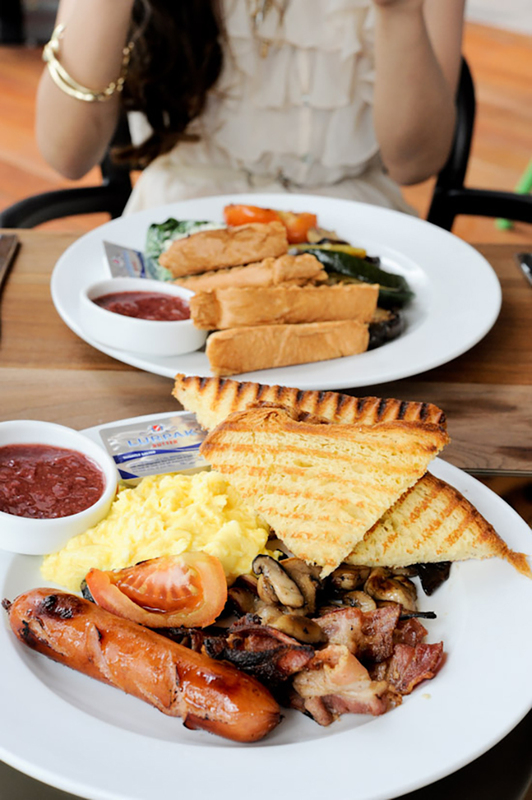 If you are looking for a heavier meal that is more filling, fret not as Drips Bakery Cafe also serves a range of brunch fare. This Muslim-owned cafe situated just a stone’s throw away from Lavender MRT station is one that will impress you with their warm and intimate ambience coupled with tasty food. It is also one of the cafes in Singapore that provides a laptop-friendly environment for students and workers. 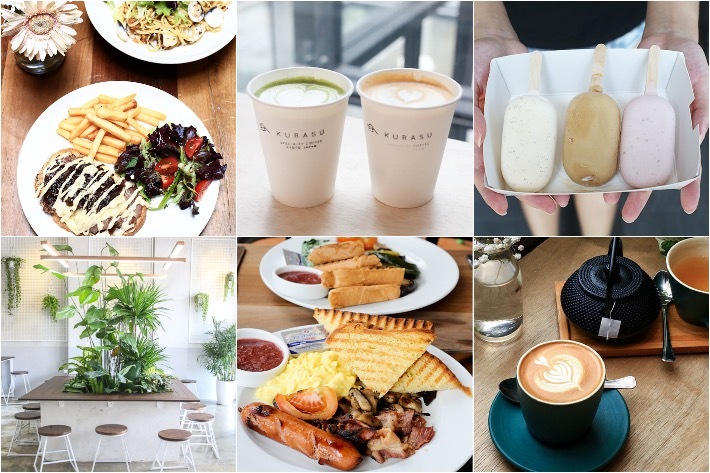 Their menu offers an extensive array of savoury treats, including all-day breakfast items such as the Bagel Set (S$14.50) and heartier mains such as steak and pasta dishes that are not overly expensive. The LoKal is an Australian Restaurant-Bar that aims to serve comfort house-made Aussie food to their guests. The kitchen is helmed by Aussie Chef Darren Farr, the mastermind behind the healthy and hearty brunches such as the Smashed Avocado with Ricotta and Steak & Eggs. You can also look forward to a myriad of Australian wines, monthly beer specials and easy drinking cocktails at The LoKal’s bar. Toby’s Estate Signature Café & Roastery at Rodyk Street is founder Toby Smith’s first venture outside of Australia, where a team of world-class coffee experts is dedicated to creating and serving remarkable coffee every day. At Toby’s Estate, you can enjoy some of the best coffees from all over the world and explore the amazing tastes and aromas of their coffee through different brewing methods. The aroma of coffee simply draws you in! The swanky interior of Dapper Coffee at Amoy Street resembles a cool British pub. The coffee aroma that filled the air was alluring and we were thankful for the good range of different coffee to choose from. 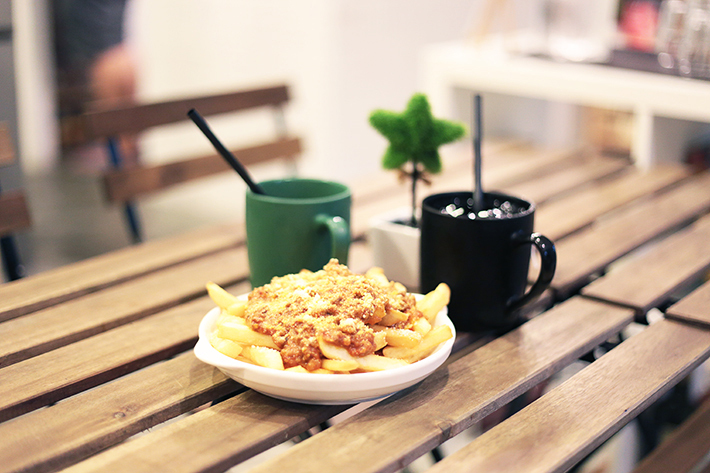 Nestled in Hougang, just a short 5-minute walk from Kovan’s McDonald’s, this humble cafe is the birthplace of Singapore’s nationwide salted egg yolk phenomenon. Their menu focuses primarily on brunch fare with eggs being the centrepiece of most of their dishes. If you’re keen on melty, decadent cheese, then do try their Beef Steak with Cheese Raclette. Perhaps one of the most popular home-grown cafes in Singapore is Kith Cafe. Having expanded to several parts of the island, you can find them everywhere now and for good reason. Their menu offerings are stellar and their coffee is simply solid. Whether you hankering for pizza, pasta or a full-on breakfast platter, there’s bound to be something to tickle your fancy. One Man Coffee is a speciality coffee concept that focuses on the art of extracting great coffee from fine coffee beans. We kid you not, their coffee is one of the best around. But as stunning as their humble brews and latte art let us not forget about their sensational lineup of food as well. Their Gashaus Eggs and Berries French Toast come highly recommended and are perfect to have during brunch. Founded less than a decade ago at McCallum Street, homegrown brand SPRMRKT can now be found at Cluny Court right next to the Singapore Botanic Gardens. Diners can expect a menu of simple all-day-brunch delights as well as a myriad of fancier offerings. We simply adore their Oven-Baked Eggs and various pasta offerings, but if you’re looking for something a healthier, you can consider one of their many wholesome SPRGRN Bowls too. 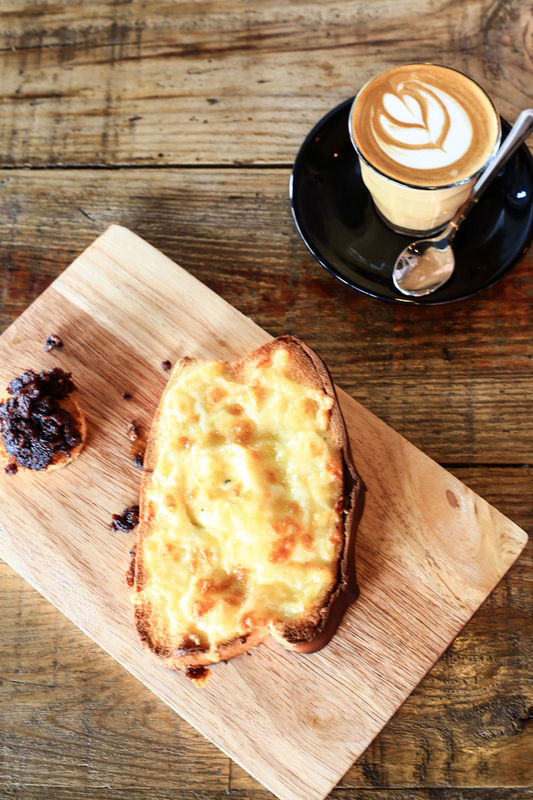 Opened by the folks behind Two Degrees North Coffee Co. and the now-defunct Department of Caffeine, The Populus Coffee & Food Co. is a hot favourite among Singaporeans for their good coffee and better food. You see, The Populus Coffee & Food Co. is everything a good cafe should be—a neat decor with plants and natural sunlight, comprehensive food menu with wholesome meals and homemade desserts, and a brilliant cuppa. Aptly named, The Tiramisu Hero is a cute yet heartwarming cafe tucked along the stretch of Tyrwhitt Road. Everything about this cafe screams cute and sweet, and this goes likewise for the amazing spread of savoury and sweets on their menu. They serve one of the best Tiramisu in Singapore. Two Bakers is one of the few cafes that does its savoury dishes and desserts really well. The two chefs here are Le Cordon Bleu Paris-trained so you can be sure that their food here is of a pretty high standard.